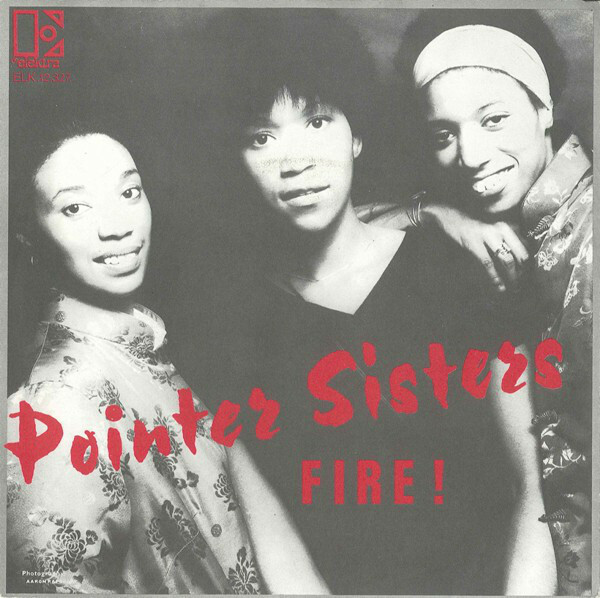 The Pointer Sisters were still on ‘Fire’ as their hit held on to the top spot for a 3rd week at 1. Dan Hill’s ‘Sometimes When We Touch’ had been at 2 the whole time that ‘Fire’ had been at 1. Jennifer Warnes’ ‘Don’t Make Me Over’ took the climber of the week award with a 5 place jump from 15 to 10. It was joined in a star rater climb by The Boomtown Rats’ ‘I Don’t Like Mondays’ which moved up 4 from 11 to 7. Two songs shared the faller of the week award with Chic’s ‘Good Times’ dropping 3 from 10 to 13 and Joe Dolan’s ‘My Love’ falling from 9 to 12. Dolan became the 15th of 24 acts who would see 8 or more biggest fallers. ‘Some Girls’ by Racey edged closer to the magical 20 weeks in the chart milestone. It was now on 18 and was enjoying its 4th week as the oldest in the top 20. It did sit at number 15 so it would be touch and go if it made it to 20 weeks. Racey were also enjoying their 4th week with 2 in the charts as ‘Boy Oh Boy’ was still going strong in the top 20. For the 3rd week running we saw only 1 song leave the chart and this week it was Earth, Wind & Fire’s ‘Boogie Wonderland’ which dropped off the top 20 after a run of 4 weeks and a peak of 17. Their previous hit (of 3 in total), ‘September’ had also only managed 4 weeks, but it peaked 1 place lower at 18. Their first hit, ‘Fantasy’ was their best performer so far with a peak of 7 and a run of 13 weeks. They still had 1 more hit to come. The new entry was Boney M’s ‘7th hit, ‘El Lute/Gotta Go Home’ which was a double a-sided single. ‘El Lute’ told the true story of Eleuterio Sanchez, a Spanish outlaw who was still in prison when the song came out although he was released soon afterward. ‘Gotta Go Home’ was a re-write of the song ‘Hallo Bimmelbahn’ by a German group called Nighttrain. In 1988 British singer Liz Mitchell covered ‘El Lute’ but changed the lyrics to be about Nelson Mandela. ‘El Lute/Gotta Go Home’ got to 12 in the UK. It also made it to 5 in Spain which is interesting given the subject matter of ‘El Lute’. Elsewhere it made it to 44 in Australia, 2 in Belgium and The Netherlands, 35 in Canada, 5 in France, 11 in Ireland, 42 in New Zealand and 4 in Norway. Treating Boney M as Jamaican (2 of the 4 members were from there while the other 2 were from other West Indies islands) then the Jamaicans had 19 hits to their name and this put them 8th overall for hits by acts from a nation. They moved ahead of France and Ireland who were on 18 and who dropped into tied 9th place on the list. In terms of weeks on the charts on a national basis, we saw Ireland pull 1 ahead of France. The Irish had 175 to their name and sat 9th overall while the French on 174 dropped to 10th. This entry was posted in 1979 and tagged Fire, Pointer Sisters, SA Top 20, South Africa, Springbok Radio. Bookmark the permalink.